Kelly Broaddus Real Estate Advisors team doesn’t sell properties and the reality is we can’t sell properties, only properties sell properties. Our team can expose a property to the marketplace, showcase its merits, celebrate Northern Arizona living and facilitate the transaction. The key to any marketing plan, especially in real estate marketing, is to identify the direction that you are going to take in order to maximize exposure. To be effective, that direction must be based on data. Kelly Broaddus Real Estate Advisors monitor real estate trends by monthly allocating a portion of our commission income to keeping on retainer a research group out of Fort Collins Co. and another out of New York. Armed with this valuable information, we are able to keep our customers as informed as possible with what is happening not only across the country but in our state, and then in our county and neighborhoods. Are you thinking of selling your Flagstaff home? Enter your property address and find out how much your home is worth in today's market. It's free, fast & easy. Over 90% of future home buyers visit the internet first to find the area and home they will be purchasing. Having a solid online presence is critical in today’s marketplace. We provide an integrated and far-reaching program that combines the web and social media. To ensure maximum exposure, we retain this leading-edge technology with eXp. In addition, we want to attract the buyer that is willing to pay the most money. In order to do that, we must allocate our marketing budget across market research proven areas that expose your homes benefits to the highest number of qualified buyers. We invest in proven marketing, emotion-driven copywriting, professional photography and buyer profile targeting. When your home is listed, in addition to having a top global website, our office has a 4500 person database of potential qualified home buyers that will be made aware of your property as soon as it is available. Top sales in Pine Canyon have been within our office since 2008. We don't wait for a buyer to come to us, we actively search for them on your behalf! Video is no longer the future, it is the present. Kelly Broaddus Real Estate Advisors incorporates a professionally produced video into the online marketing of your home. The video tour will showcase your property via our dedicated YouTube channel, Facebook and other social media channels. Real estate photos are worth more than a thousand words and more important than ever. We hire the most talented real estate photographers in the Flagstaff area to capture all the best features and assets that your home has to offer. We have found through our research that a home that is professionally staged and photographed will sell for 6-10% more money, marketing time has been found to be decreased by 50%! One of our team members is a professional stager, she will be contacted to come out to you and give an expert consultation. Up to 71% of homes are sold by co-op agents. 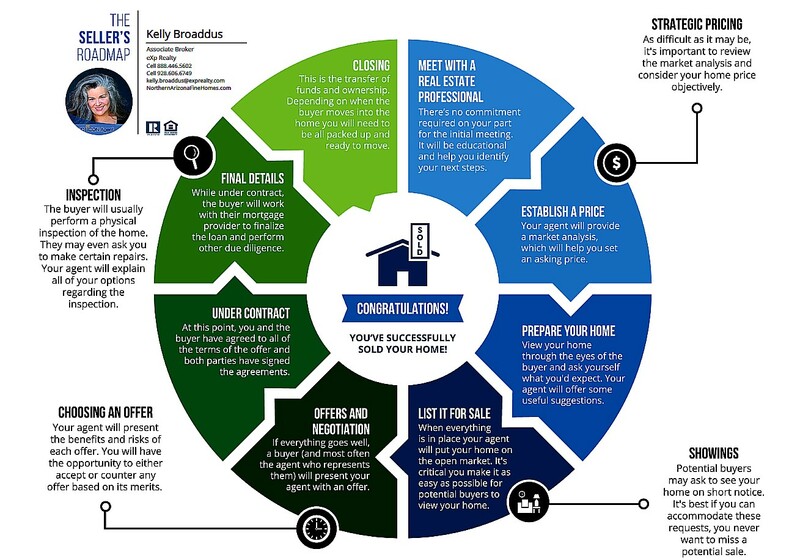 We target these agents to increase your home's visibility in the marketplace. We understand that there are always three types of buyers, most of the time these buyers are within the reach of our fellow agents. We utilize Commission Leverage and Buyer incentives to encourage more showings. We have programs like "Coming Soon" and "Certified Pre-Owned" to differentiate your home to the consumer from the sea of other houses. Finally, our Private Client Group has helped many clients have successful, hassle-free transactions for many years. 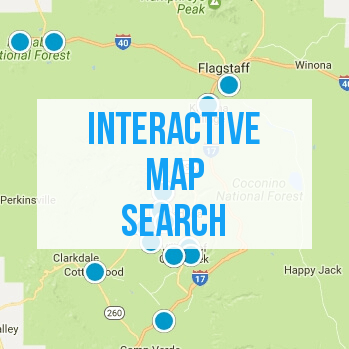 We are enthusiastic about the Flagstaff/Sedona area and are excited to be able to assist you with what may be one of your most valuable assets. How do we market your property? Not in the usual way. In addition to our email blasts to our extensive database, we have developed a world-class, proprietary, highly sophisticated Internet Lead Generation System that targets qualified buyers for the Flagstaff/Sedona area. We are the only real estate brokerage in the area that uses this system. It is our history of finding the right buyers and bringing them forward, offering them an unfair advantage over other buyers. Many buyers do not have full access to all properties that are for sale. National figures indicate about 38.6% of homes for sale, do not show up on public sites. As a seller, you benefit greatly by our ability to offer buyers access to unlisted and quietly available homes for sale. With over 37 years of combined experience and relationship building, we have found that many homeowners, like yourself, sometimes choose to offer their properties in a very discreet way, no public access, but yet privately and discreetly for sale. Buyers win, sellers win. We encourage you to think about what is important to you when you’re choosing a realtor to sell your home. If ability, experience, market knowledge, expertise, and a proven marketing plan that can create exposure are at the top of your list, please contact us via email at kelly.broaddus@exprealty.com or by phone at 888.446.5602 at your earliest convenience.